MELBOURNE, Australia — Andy Murray and Angelique Kerber had much in common heading into the first Grand Slam of the season as the No. 1 seeds. 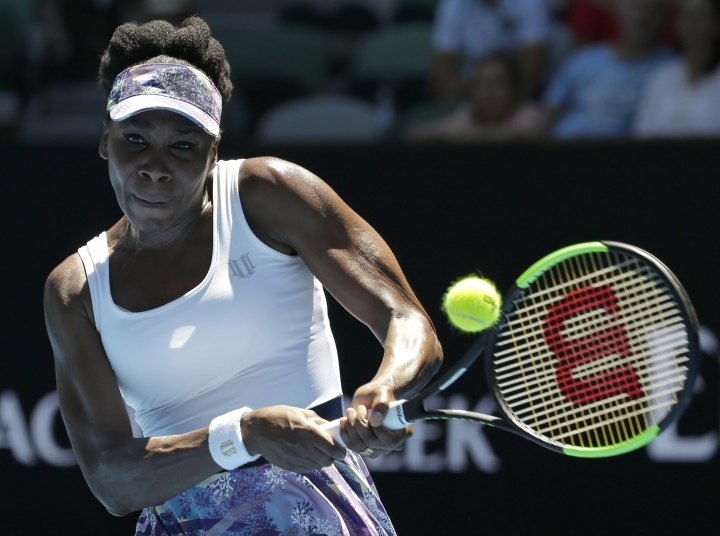 They shared an unwanted link on Sunday, though, when both were upset in the fourth round of the Australian Open. 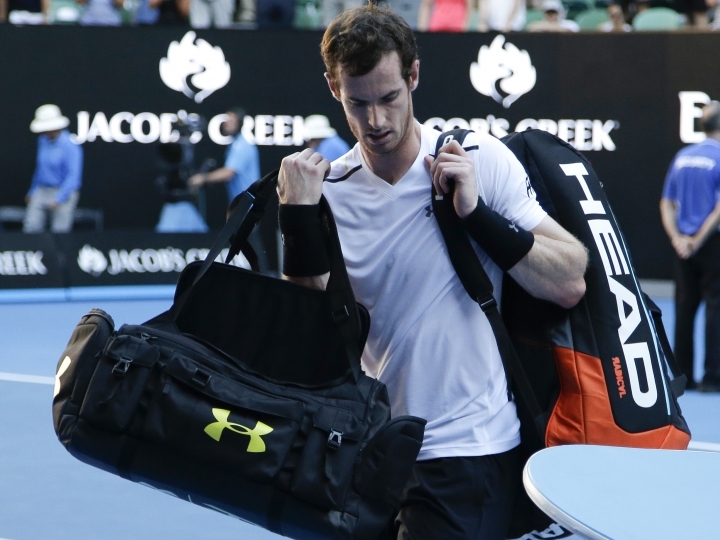 By the end of a chaotic first week at Melbourne Park, five-time finalist Murray had extended his Australian drought following a 7-5, 5-7, 6-2, 6-4 loss to No. 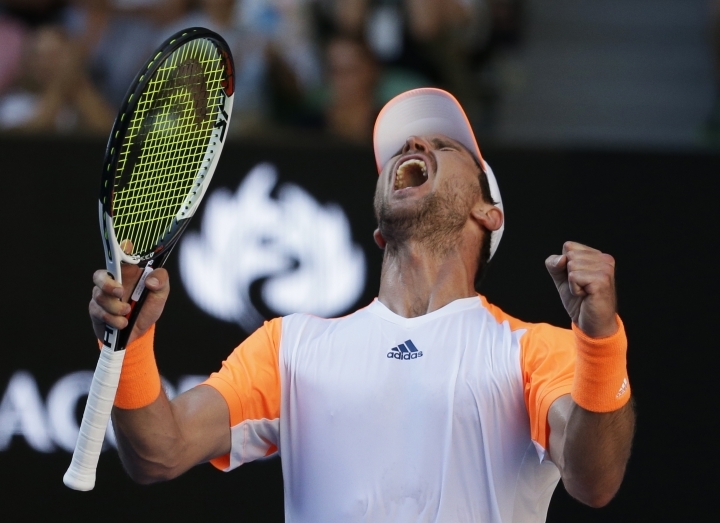 50-ranked Mischa Zverev a matter of hours before defending women's champion Kerber lost 6-3, 6-2 to CoCo Vandeweghe in an upset that finished at six minutes past midnight. Novak Djokovic, who beat Murray in finals to win four of his record six Australian titles, didn't make it past the second round. 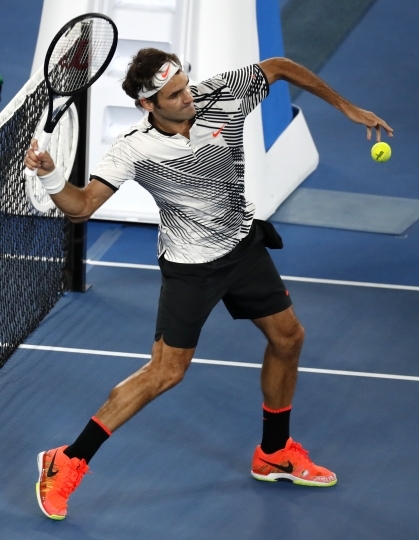 Multiple major winners Roger Federer and Rafael Nadal, both returning from injury layoffs, needed come-from-behind wins to advance to the second week. Another six-time champion, Serena Williams, is still on track for a record 23rd major title and will get the second week started on center court. 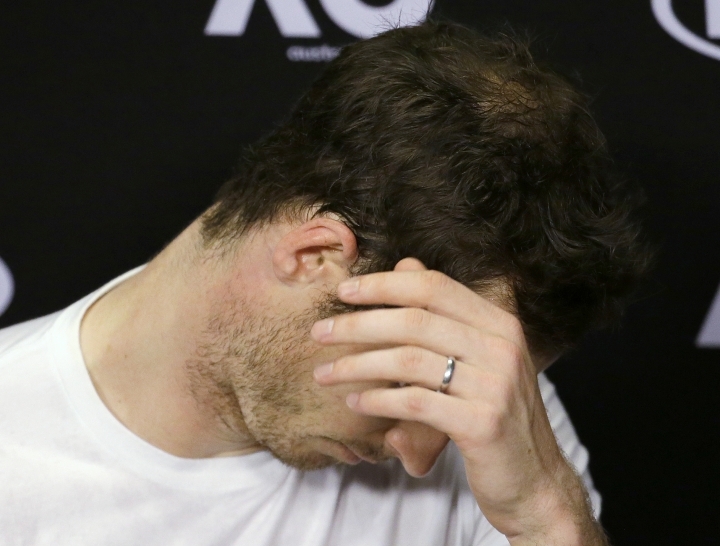 It was tough at the top on Sunday for Murray and Kerber. Kerber said: "Of course, they are new experiences ... new challenges," Kerber said. "I can learn from all the other stuff which is new for me." Against Vandeweghe, she said she was "trying everything, but I missed a lot and I make a lot of unforced errors — this was not my game." 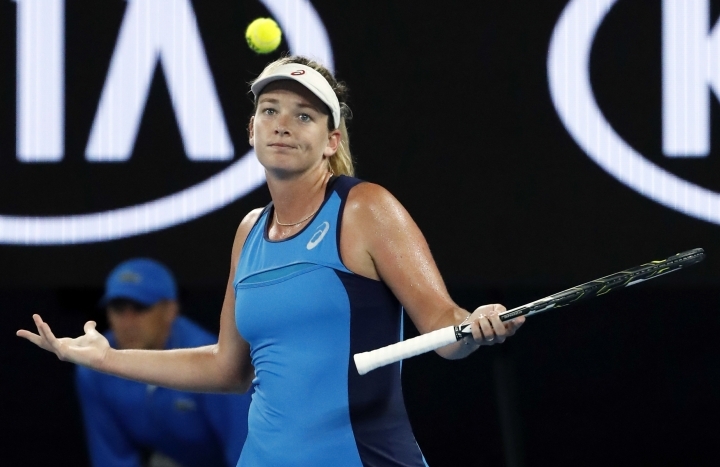 Vandeweghe had never been past the third round at the Australian Open, and lost in the first round here last year. But she pounded Kerber with a powerful forehand, clubbing 13 of her 30 winners from that side. After match point, she shrugged her shoulders in a "so-what" motion after moving into a quarterfinal against French Open winner Garbine Muguruza. "It's the first time I've ever beaten a world No. 1," the 35th-ranked American said. "And especially at a Grand Slam, I think it makes it that much sweeter." Murray rebounded last year from his Australian and French Open finals defeats to replace Djokovic at No. 1. 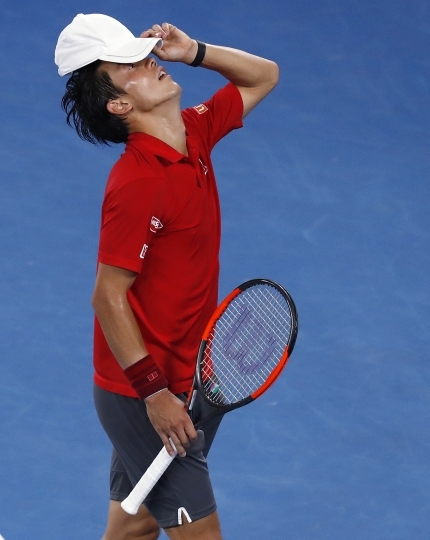 He was undone by some old-school serve and volley from Zverev, who played the match of his life. Zverev will now meet 17-time major winner Federer in the quarterfinals. In their absence, U.S. Open champion Stan Wawrinka is a growing contender after beating Andreas Seppi 7-6 (2), 7-6 (4), 7-6 (4). He'll play a quarterfinal against 2008 Australian Open finalist Jo-Wilfried Tsonga, who beat Dan Evans 6-7 (4), 6-2, 6-4, 6-4. In the bottom half of the draw, 14-time major winner Nadal is the only remaining contender who has won a Grand Slam title. Muguruza beat Sorana Cirstea 6-2, 6-3 and will next play Vandeweghe — they're both in the quarterfinals here for the first time. 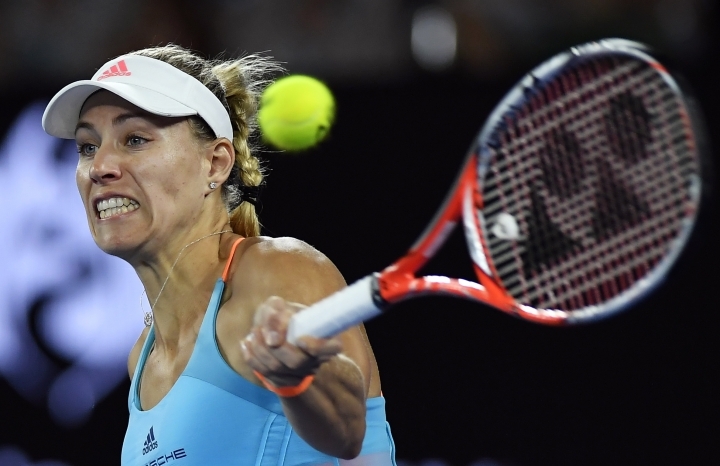 Kerber's loss continued a poor run since she won the U.S. Open last September. She's played seven tournaments without winning a title, only reached one final, and was 5-7 against top-50 players. Zverev attacked Murray, unsettling his natural baseline game, and won 65 of 118 points at the net. 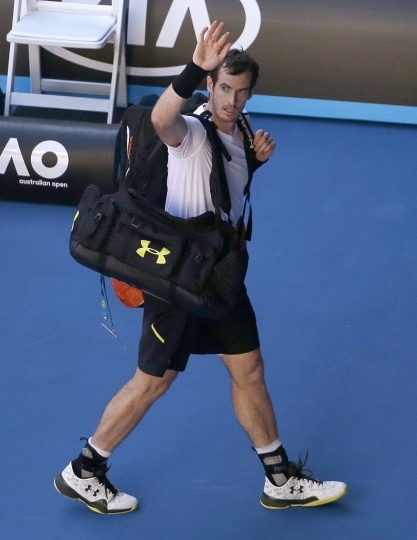 Murray had reached the quarterfinals or better on his previous seven trips to Australia but never won the title. He had not lost to a player ranked as low as Zverev at a major since his loss to No. 51 Juan Ignacio Chela here in 2006. Zverev next plays Federer, who beat him 6-0, 6-0 in 40 minutes in their last meeting in 2015. He made some stunning, lunging volleys on clutch points against Murray, but for him it was all a blur.